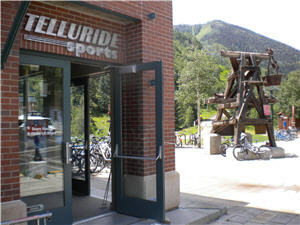 Located in the base of the Camel’s Garden Hotel, Telluride Sports is steps away from Lift 8 and the Gondola. This North Face Concept retail store boasts a full service ski and snowboard rental service, with complementary overnight ski storage. Their world class, overnight Snowell tune system offers a consistent and precise tune every time, no matter the ski. Renting online makes your experience faster and easier. As a Camel’s Garden Hotel guest, you save 20% on rental gear.